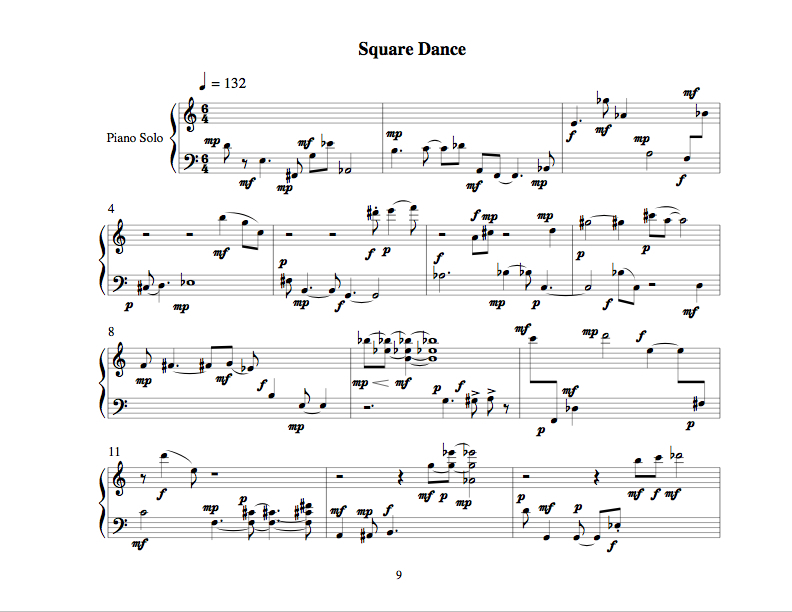 On a Sunday afternoon in October of 2002, more or less for my own amusement, I wrote a short piano piece. It grew on me, and I decided to write some other pieces to go with it. 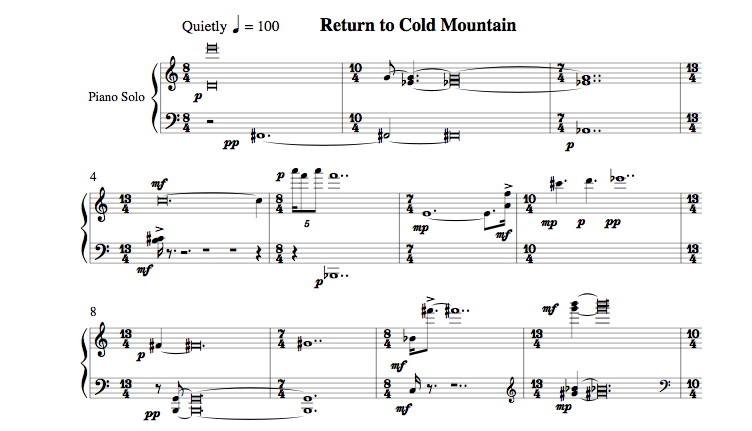 Since the original piece was simple enough for amateurs and piano students to play, I decide to make the other pieces in the set short and simple as well. This was actually a compositional challenge for me, as my other music is usually quite demanding of its performers. 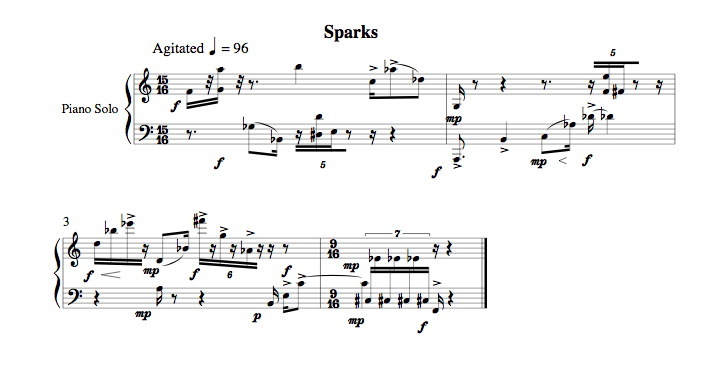 The result of a few more days work resulted in the the Fourteen Little Piano Pieces. So I definitely want to promote these pieces as offering young, gifted composers “a strong foretaste of composition." --to quote a phrase from Bach's forward to his Inventions and Sinfonias. 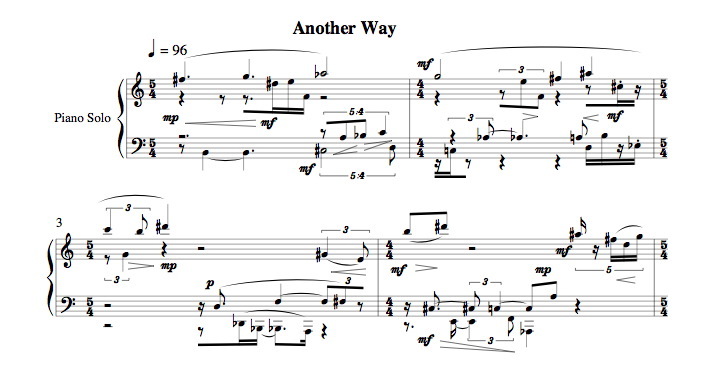 A much more direct influence on this set of pieces is the Six Little Piano Pieces of Schoenberg, from which I try to develop their epigramatical atmosphere. Even more pertinent is the suite of relatively easy twelve-tone piano pieces by Luigi Dallapiccola entitled Quaderno Musicale di Annalibera. My pieces resemble Dallapiccola's in a number of ways; they have a similar scope and lyrical tone, and are all based on a single row. In fact, I actually make a direct reference to one movement of the Quaderno. But I also make references to other older twelve-tone and atonal pieces by Schoenberg and Webern, as well as to passages in my Cold Mountain Songs of 1994. The pieces may be played as a whole or in part, but the order of the pieces is not altogether free; they must be played following the ordering schemes given in the score.